Utah Cognitive behavioral therapy (CBT) is a type of psychotherapy based on a simple concept: what we think causes our feelings and behaviors. This is a type of talk therapy that focuses on how the way you think affects the things you feel and do. Your thoughts are the primary reason for your actions. How Does Cognitive Behavioral Therapy Utah Work? Cognitive behavioral therapists at Pathways seek to find what the client’s goals are, and then focuses on helping them attain their goals by teaching rational self-counseling skills. CBT therapists believe that the clients change because they learn how to think differently, and this enables them to act on that learning. In order to obtain the most favorable result possible, the therapist will ask a lot of questions, and even encourage the client to ask themselves a few questions. The CBT therapist has the role is to listen, teach, and encourage, whereas, the client has the role to express concerns, learn, and implement their teachings. The Cognitive Behavioral specialists in our Utah facility hit the ground running by identifying the needs the substance is satisfying. A person with chronic stress will need different methods than those with depression. This is about teaching personalized coping skills so it’s crucial that the groundwork be done correctly. Say you have an incident, or what CBT professionals would call a triggering event, in which you are yelled at by your boss; the outcome, or triggering result, might be feelings of pure inadequacy or possibly anxiety over whether or not you will lose your job. A therapist can address these fears and worries with you. Once the client understands how and why they are doing well, they will know what they need keep doing to continue doing well. Every CBT session has an agenda, and focuses on the client’s goals. Your thinking, or the cognitive part, will change your actions, or the behavioral part, no matter where you are. Our Utah Cognitive Behavioral Therapists will not tell the client what their goals should be, but how to unlearn unwanted responses and to learn a new way of thinking. Clients will be given “homework” which will include reading assignments, and to practice their newly learned skills; for example, the client may need to practice deep-breathing exercises to learn to relax or role-playing how to act in certain stressful situations. This homework is VITAL to the success of any CBT care. Clients must practice new thinking skills until they have replaced your old responses. Homework is also an opportunity for clients to try out different skills and pinpoint what works best for them. Utah Cognitive Behavioral Therapists begin with a functional analysis that challenges troubling thoughts by identifying the underlying issues and then moving past the thoughts that cause these situations to worsen. In the above example where the boss loses his temper, a CBT therapist might point out that a relationship between an employer and an employee is a two-way street, and that this person may have had a myriad of reasons for yelling that had nothing to do with you. CBT skill trainings will help you challenge these thoughts further inside your head, so you can do everything on your own in real time. The skills training will be to remind yourself that you have the strength and competency to turn things back around, or that you would find a way to get by should the worst happen and you lose your job. As you start to reprogram your brain, you may be surprised at how fast you see results in your actions. Some patients experience a change in as little as 3 to 4 weeks. Generally, treatment is 1 to 2 times a week for 12 to 16 weeks for those enlisted to our Utah cognitive behavioral care program. Treatment may be longer or shorter depending on where you are at, and your commitment to implementing your new, healthy habits. Each individual session is between 50 to 100 minutes. Our therapists don’t just administer advice during meetings, but also assign you homework so you can challenge thoughts in every situation. These assignments help you determine which strategies work best for you, so you can succeed long after the sessions are over. After your Utah Cognitive Behavioral Therapy is complete, your therapist may recommend 3, 6 or 12 month follow-ups. Pathways Real Life Recovery offers aftercare for up to 3 years after completion of our program. 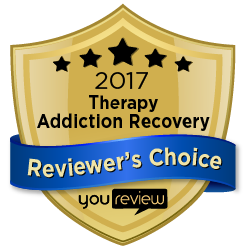 For More Information About Our Utah Cognitive Behavioral Therapy Treatment Center Call Pathways Real Life Recovery at (801)-895-3006 Today.